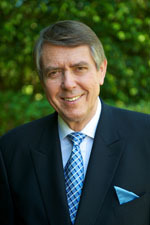 Born in Cologne, Germany, Jo began in his transportation career with an apprenticeship in 1958. Jo and his wife Karin moved to New York in 1969 and in 1972, opened the first EMO Trans office at JFK International Airport with a staff of 3. To date, EMO Trans has 30 offices in the United States, along with owned offices in Australia, Canada, Chile, China, Germany, Japan, Korea New Zealand and Peru. With a strong network of partners our representation has expanded into over 120 countries covering 6 continents. Jo’s guiding principles have always been integrity, quality, and committed leadership to EMO’s employees. We retain the best personnel in the industry and as a result our dedicated professionals offer our customers with reliable international freight and logistics services. It is our mission to treat our customers and business partners fairly and professionally while maintaining our strength, flexibility, and continued growth. From the beginning, Jo’s philosophy “Success by Performance” has proven to be the key. Marco grew up in Zurich, Switzerland and completed his apprenticeship in 1978 earning a diploma in freight forwarding from the KV Zurich Business School. He moved to the USA in 1980 and worked for various logistics companies in executive positions with increasing responsibilities. He obtained a customs broker license in 1993. Marco joined EMO Trans in 1995 as Executive Vice President and partner directing sales and operations in the West Coast South region.He has been married for 30 years to Cynthia Rohrer and they have three children. He loves to kayak, hike and climb in the local mountains and playing soccer. 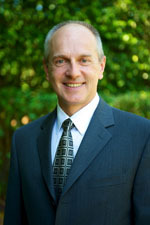 Tom graduated from Long Island University in 1978 with a degree in Accounting. 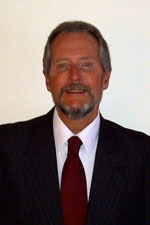 He passed the Certified Public Accountant’s exam in 1982 and worked in Public Accounting as an auditor for ten years. He left Public Accounting and took his first job in the Private sector in the position of Controller for a Subsidiary of Mitsui and Company U.S.A. Tom joined Emo Trans as Controller in 1991 and has been with Emo for the last 20 years becoming its Chief Financial Officer in 1995. In his capacity as CFO he oversees all aspects of the Company’s Finances, Administration and Human Resources. Tom is a lifelong resident of Long Island and currently resides in Rockville Centre with his wife of 31 years, Susan, and his three daughters Kathryn 26, Elizabeth 24 and Allyson 20. After graduating from SUNY Stony Brook with a BA in Philosophy in 1998 and 1 Year interning in Cologne Germany with MBS logistics, Jennifer began working for Emo Trans full time in New York (JFK) in 1999 doing customer service and ocean imports. 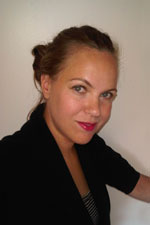 In 2001 she entered the masters program to get her MA in Philosophy at the New School for Social Research, in Manhattan. During this time she had a part time position at Emo Trans Newark (EWR) handling ocean imports. After finishing her MA In 2004, she moved to San Francisco to take a position in Sales for Emo Trans in the NoCal market. In 2006 she took a branch manager position in Philadelphia. Within 3 years, she was able to stabilize the operation and grow the Philly customer base significantly. In 2009 she joined the corporate team in Freeport, NY on Long island as Director of Global Networks. Her job included maintenance of the global network of agency partners and the development of joint sales efforts, including support of the RDM (Route Development Managers) targeting specific markets. She has since been promoted to Vice president of Sales and Marketing . Jen lives on Long Island with her husband Paul who works in the IT department for Emo Trans. They have two children. Her father, Jo, is the founder and owner of Emo Trans.